I walked by a parking lot this morning and remembered that night, that summer, all these years ago now. I laid awake until I finally got up and went out looking for you. Love and anger, our two unwieldy emotions, were so well-blended together. Did you think of me as you ordered another beer? Or did you have another so you would not think of me? I found you parked by the lake the next morning. You were missing that temporary tooth and still a little drunk but relief washed over us both. You kind of smiled. I kind of smiled back and the beauty of the sunrise erased any remnant of our fight. We were always erasing things. Is that called forgiveness? We were more than kids by then. We had one of our own, our towhead toddler with curls that grew in straight after I cut off his sweet blonde ponytail. I still have it wrapped in a baggie, tucked inside a book. I have also saved pieces of our marriage–our crazy, carefree, careless way of life that often unraveled our world, and those around us. We were so sure we could make our way, our way. We were drawn to something in each other that we lacked in ourselves. That’s pretty normal, I think, it’s just that there was a little too much lacking in each of us when we met to be able to catch up. We sure tried though, didn’t we? Remember those sandwiches we made as we traveled across country, sunrise to sunrise, on abandoned roads leading to the mountains? You pulled over so I could set up a little kitchenette in our van. We were so hungry. We loaded our bread with pickles and salami and cheese. I didn’t know mayonnaise tasted so good with cheese. I had always preferred mustard. And remember the sourdough starter I started from the recipe in the cookbook we received as a wedding gift? Bentwood Cookbook. I made us sourdough every couple days. You grew tomatoes. We ate sourdough and sweet sun-soaked tomatoes and lived like kings. Remember how you corrected my pronunciation of san-which to sahnd-which, enunciating that d and removing the nasal? You really tried to turn me into an actress. It worked for a while but it didn’t last. We did eat well though. They say that stones are polished by the raging white waves, rubbed raw together, crashing against the sharp edges of cliffs. Those rough years were a part of our polishing. Our son, our wonder, is but a foretaste of the good that lies ahead. He made negative one plus negative one a positive sum. You said once, that you didn’t believe in miracles. Do you believe in them now? Isn’t it amazing that our negatives could make a big bright beautiful plus like him? I know the years have caught up. And I know we never quite saw eye to eye on this particular thing, but I do believe that God is a capable polisher. He’s still polishing us both. It’s a long race, not a short sprint. See you at the finish line, okay? 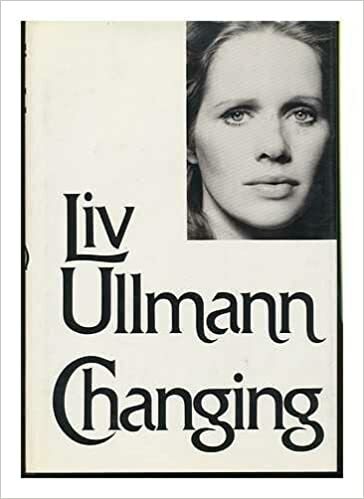 Have you read Liv Ullmann’s “Changing”? I did. Long before I was ever married. It would hold new meaning now. What a wonderful actress! Will have to revisit. Thanks Carlos. Your text reminded me of her book. Thank you for these hope filled words and for the reminder that “God is a capable polisher.” Could there be any greater hope than knowing he holds us in his hands, even as he polishes away? I can think of nothing better. Eric, it certainly is a reassurance that He uses all things for our good. Safe in the Sculptor’s Hands. Would He make anything less than a masterpiece?